Why start another education charity? Research from The EEF teacher toolkit shows that one-to-one tutoring can accelerate attainment by up to 5 months in a year and there are a range of charities that run programmes with the aim of improving the grades of young people from low income households and while these programmes are highly effective. Charities that offer after-school tutoring and mentoring are extremely impactful but are usually funded using a combination a grants, donations and fees charged to schools. This is a common funding model for charities but the challenge with this funding model is that grants and donations aren’t sustainable – they can’t last forever and not all schools can afford the fees for additional after-school programmes. Due to limited funding, most schools or charities have a strict criteria for providing additional support and they can only provide additional tutoring or mentoring support to priority pupils. 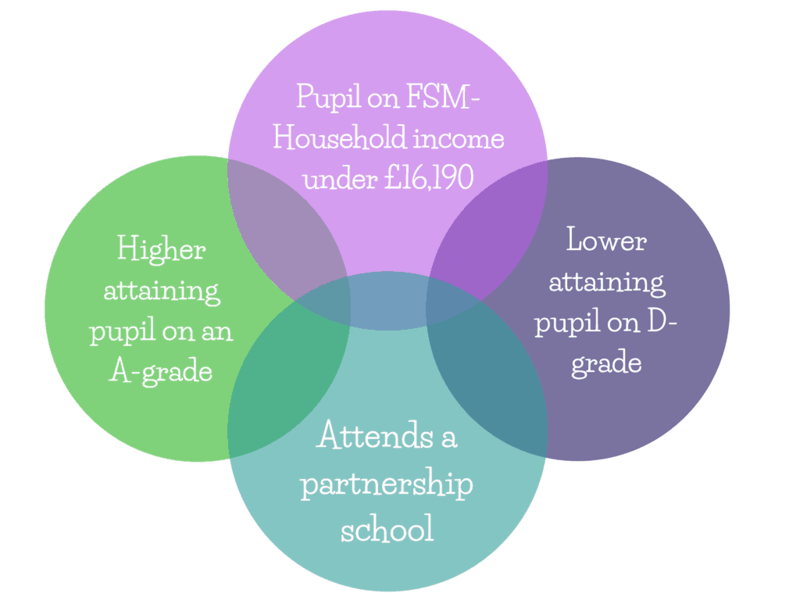 Priority pupils are usually pupils on FSM (Free School Meals) – that means pupils with a household income under £16,000. In order to qualify for support, you’ll need to go to a school that has an existing partnership with the charity. In addition to this, there are typically two types of interventions. There are those that work with high attaining pupils that are likely to get into a top university or those that work with D-grade students with the aim of supporting them to achieve a C-grade by the end of school. The problem with this strict selection criteria is that many parents and young people from low income homes have little awareness of the programmes available to them and have very little control over the decision making process. The decision for young people to get on any programme is usually based on a funding and priority need both schools and charities are forced to make a decision on which child or which group of children will benefit from this most – given our limited funding. The GT Scholars Programme was founded in November 2013. It was started by Temi Kamson, a former engineer turned Maths teacher. Temi established the programme while working as teacher and noticed that many of the young people and parents that approached her for after-school tutoring were on free school meals or low income homes but didn’t qualify for support. This was either because their grades were too high (eg a C-grade), their household income was too high (eg. a single parent household with an income of £17,000 which is just above the Free School Meals threshold or the school didn’t have the funding to place them on a programme. We were established with the goal of ensuring that any young person was able to access the support and you didn’t have to go to live in the right neighbourhood, go to the right school, have the right household income and have the right grades in order to qualify for support. The programme has been developed and refined over the past couple of years and recently gained support from NPC-Think (New Philanthropy Capital) who assisted with developing the theory of change. Since starting the programme, we have gained support from organisations such as the Young Academy’s Accelerator Programme, Bank of America Meryll Lynch and The School for Social Entrepreneurs. GT Scholars was also awarded its first round of social investment through Croydon Council’s SE-Assist programme with Legal & General and Charities Aid Foundation. We are now open to any pupil in London and run as an after-school tutoring and mentoring programme to run throughout the academic year with 3 terms in the year. In each term, our scholars benefit from 10 hours of one-to-one online tutoring sessions to improve grades and 3 mentoring sessions to help pupils build their confidence and equip young people the strategies they need to succeed. We also run 1 skill-building day to help young people develop a growth mindset and 1 Enrichment day. Our enrichment days include things like visits to the city, visits to universities and career days where we encourage parents and scholars to gain a deeper understanding of the academic and career opportunities available to them. This is all done with help from volunteers who support through tutoring, mentoring and one-off volunteer days. Tutoring and mentoring requires a 3-month minimum commitment and volunteer tutors need to be available for 1 hour a week while mentors need to be available for 2 hours a month. Our tutors are graduates, undergraduates and professionals from a range of fields and we conduct full training and DBS checks on all volunteers that work directly with young people. How is all of this funded? We charge means tested fees and this means that the fees from young people from high income homes subsidise the fees for young people from low income homes. The means-tested model also means that that the majority of our young people that join the programme are from low income homes. As a social enterprise, we use 100% of our surplus to provide free places. At the moment, we are able to provide 1 free place for every 6 paying places. Our goal is to be able to provide 1 free place for every 3 paying places by 2020 and we hope that we can do this with your support. We’re always looking for undergraduates, graduates and other professionals that are passionate about making a difference in the lives of young people. You can volunteer as a tutor, mentor or simply sign up to one-off volunteer days. Contact us online if you’d like to know more about The GT Scholars Programme and would like to support us by becoming a volunteer or connecting us to your professional network or corporate volunteer programme. Growth mindset Our Impact Our story What's new?